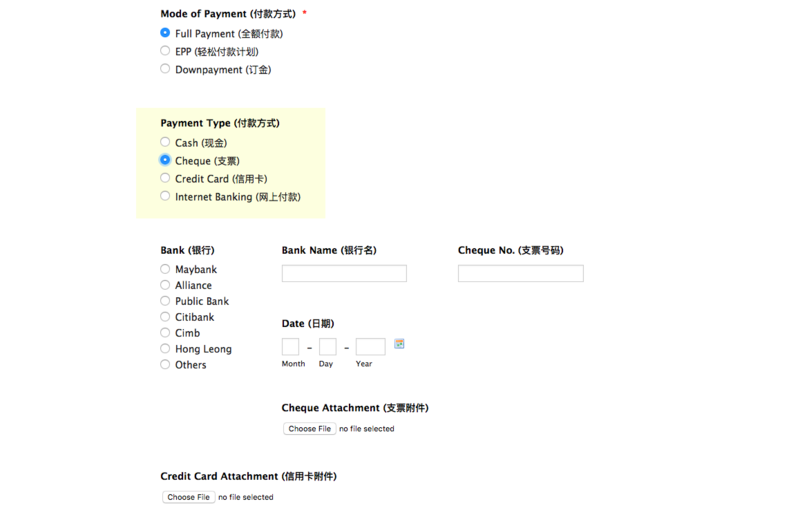 I am trying to make a payment form, but unfortunately I think got some issues creating it. When I select Credit Card and select the Bank, then after that, I switch it to Cheque Payment, it will shows the Credit Card Attachment textbox even though I have hide it in the radio button function. It seems that there is some issue with the conditions set to show/hide the fields. Let me go through the conditions set on your JotForm and get back to you with relevant information. I see that there are several fields being duplicated on the form which is causing a lot of confusing. I believe we can reduce the number of fields on the form and can make the form program friendly. This would also help in loading the form quick on the webpages. I'm working on it and shall get back to you at the earliest possible with the modified form.